MAMAs Registration – Frequently Asked Questions! Q: I didn’t release an album in 2015. Can I still register? Of course! We have a number of categories that don’t require a song or album, such as “Performer of the year”, “Instrumentalist of the Year”, and so forth. Q: What’s the best strategy for winning a MAMA Award? It seems simple, but you need to encourage your fanbase to vote for you! Creating a facebook event or sending an email to your mailing list are great ways to encourage your fans to register and vote for you. We even have a walkthrough for fans on how to register on our site! Other tips: although it can be tempting to register two or three of your songs for “song of the year”, the best approach is to just pick one. If you register too many songs, it will split your vote among those songs. Q: We’re an acoustic indy-rock noise punk duo, and our performances consist of setting classical music on fire while screaming into a vuvuzela. What category should we submit to? Completely up to you! There is no restriction or “check” on your submission, but if your music doesn’t fit the genre you submit it to, don’t expect too many fans of that genre to vote for you! Also….you do what now? For even more questions and answers, read our FAQ page at awards.themamas.org! If you haven’t registered yet, do so now! Registration closes on January 29th, 2016! Madison is creating new music all the time! Do you have friends who have started a new band or musical project? Encourage them to sign up for the MAMAs! 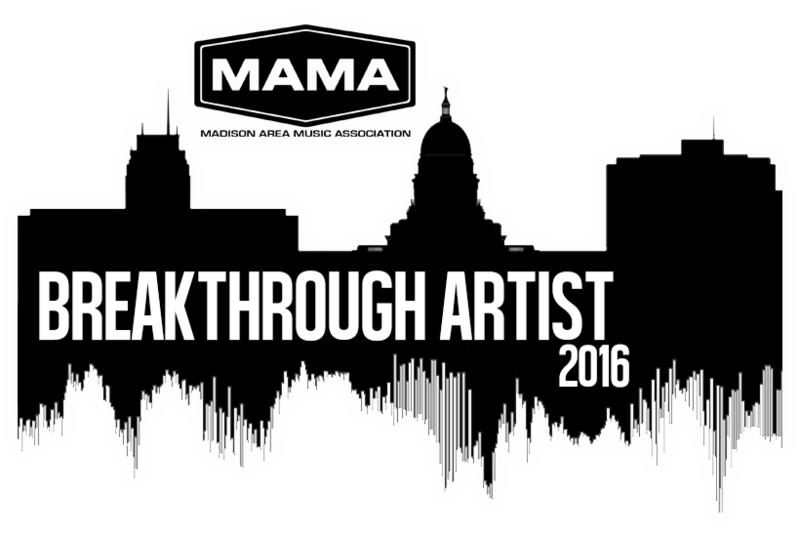 If you’re a newer band or act on the Madison Scene (< 2 years), make sure to sign up for the Breakthrough Artist Competition! For more details, and to sign up, click the graphic below! For more information about MAMA, please visit www.themamas.org. For breaking news, exclusive content and event updates please follow @themamas on Twitter, like the “madisonareamusicassociation” on Facebook, and check in at MAMA events on Foursquare.